The next iteration of our Fellowship program for the next generation of coders. This past August we brought back our Fellowship program. 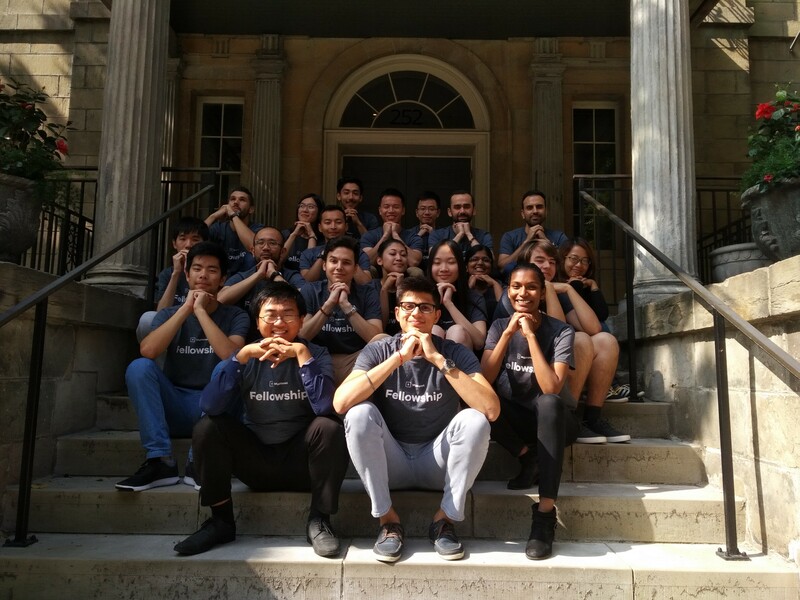 For two weeks, we hosted an intensive skills development program for 18 students, providing the space and the hands-on instruction to learn and sharpen technical skills in a real-world environment, working on real projects for real clients. 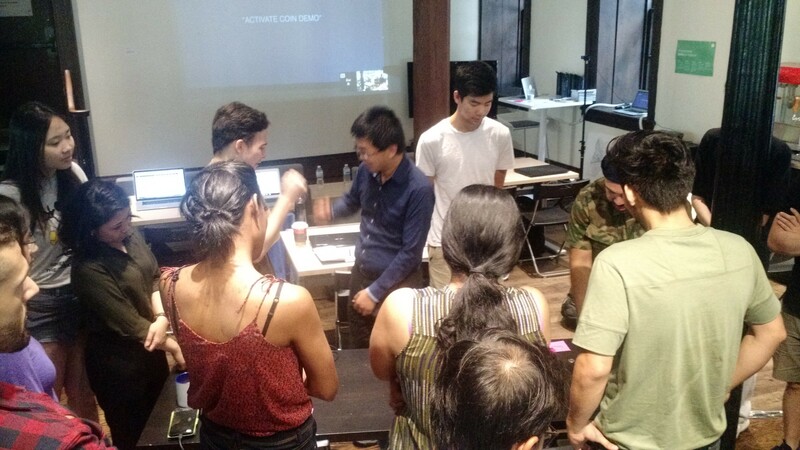 The students spent the first week doing focused skills training — learning new coding languages and perfecting their understanding of certain approaches to development — and the second week working in teams to solve challenges for one of our three charity partners using cognitive-based technology solutions. To say they covered a lot of ground in just 10 days would be something of an understatement. Having had some time to reflect on the program, we spoke with Myplanet CTO Yashar Rassoulli and Myplanet Developer and Fellowship Coordinator Engin Arslan about the benefits of Fellowship for participants, why Myplanet brought it back after a 3+ year hiatus, and what makes Fellowship such a compelling event for students and instructors alike. Why did you want to bring Fellowship back? What does Myplanet gain from participation? And what do the students gain? Yashar: The last time we ran Fellowship, we had just moved offices, our team was growing from a small startup to a midsize organization, and we were beginning to shift gears strategically. There was a lot going on! We felt at the time that we couldn’t offer the students our full focus and attention, so we made the decision to put it on hold temporarily. But we always planned to bring it back when the timing was right. Now, after a few years on hiatus, we’re more settled as an organization — our team base is more senior, our strategic direction is more established, things like that. The value of Fellowship for us is in the energy and ideas that newer, more junior talent brings, but the value has to be there for the students as well. It’s a big commitment for both parties, so fellowship was something we wanted to be certain about before we committed to offering it again. We had to be confident we were in a position to run the program and make it as great as we know it can be. This year the timing finally felt right. As an added bonus, our partnership with IBM meant that we also had the ability to connect students with some of the latest in cognitive tech while maintaining a community-oriented charitable component. Everything just kind of aligned for bringing it back. Engin: For me, the primary, driving goal was to give back to the community. I already do some mentoring and teaching on my own time, but being able to bring that into my workplace and contribute those skills to Myplanet was something that was really meaningful for me. Early in my career as a developer, when I switched from Visual Effects to Web Development, Myplanet gave me the opportunity to grow and learn and borrow expertise from my colleagues until I developed the expertise myself. Fast forward several years and I’m now at a level where I can teach others and offer them that same opportunity for growth I received early on. This felt like a great chance for me to pay it forward for others. I’m passionate about the potential for opportunities — I came into the business largely self-taught, and that can be really challenging. There are so many avenues to follow and different paths to learning the hard skills we use as developers. I want to help others find the clearer, easier, better ways of accessing those ideas. It’s possible to learn a great deal by yourself, but when you can add in a few good mentors and peers it makes a big difference. What was the focus of this Fellowship? Why did you go with a developer-focused program? Y: The theme of Fellowship this time was Cognitive for a Cause. It allowed us to explore our joint interest with IBM in the real-world possibilities of cognitive tech (using IBM Watson) by applying it to key community initiatives. We specifically worked with charities that might not have the resources to explore the more cutting-edge or experimental ideas that cognitive tech is making possible these days. When we’d run Fellowship before, we’d done a combined design and development format but we focused on tech this time around because we’d found in the previous iterations of Fellowship that the split focus posed some challenges. The feedback we’d received in the past was that it was tough to get the depth people wanted on the topics from a cross-functional format. There’s definitely value in working as part of a fully-integrated team and learning to balance those different viewpoints and skills, but we wanted to create a curriculum for the participants that gave more value in terms of hard skills this time around, especially with the focus on cognitive, so that participants would walk away with tangible (in this case) technical skills. What was the impetus behind partnering with charities? How did those groups come to be a part of Fellowship and what did they get from it (or hope to get from it)? Y: Fellowship has always had real-world situations as a part of the curriculum. Previously, we’d worked with local businesses and organizations to help them solve their challenges but when we partnered with IBM, they suggested working with a few charities and it felt like the perfect way to expand and grow our pre-existing format. IBM brought in Pathways to Education and the Toronto Public Library, and we brought in our pre-existing partner, Girl Guides of Canada. Each of the charities came in and spoke with the students about their respective challenges, and in each case, they were the kinds of problems that cognitive tech seemed especially capable of solving, so it was just a natural fit all the way through. What were the benefits of partnering with IBM? Were there specific elements of Fellowship that the students wouldn’t have been able to access without that partnership? Y: IBM was a huge factor in getting the charities on board, so that was a big contribution. They also sponsored the meals and the swag — something I know the students were especially keen on! 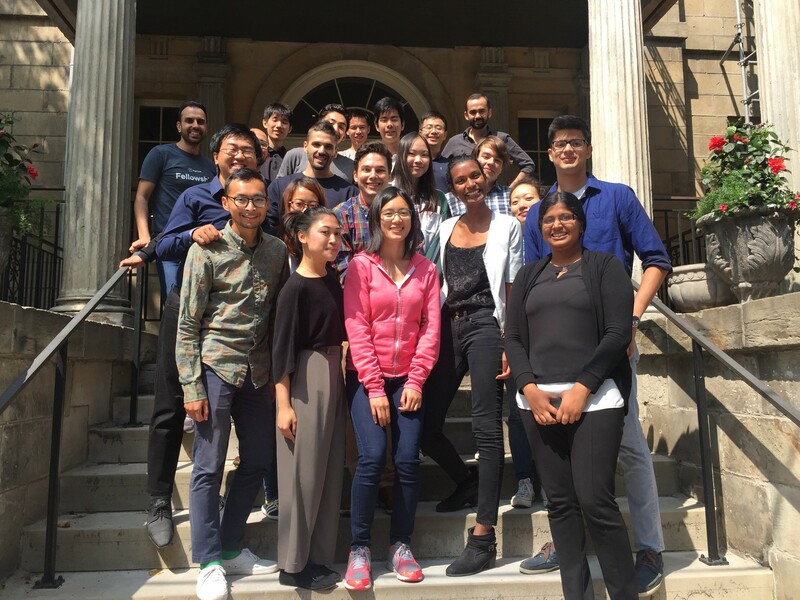 But I would say their biggest contribution to the program was introducing the Fellows to IBM Bluemix, their cloud infrastructure hosting platform, and various publicly available Watson services that can be consumed via their API to add cognitive capabilities. E: I second that. Having IBM come in and offer their personal expertise and training — their own staff came in and led an intensive cognitive tech session with the Fellows — really enhanced the value of what was being taught. The students were able to direct their questions to the source, getting really clear and hands-on explanations. Cognitive is an emerging and therefore potentially confusing field, and it made a real difference to have that direct expertise available when it came time to create their final projects. The students’ grasp on the tech was way higher and more nuanced than we would’ve expected in such a short time-frame. What did you, personally, take away from it or learn from it? What surprised you most and why? Y: I was really surprised by the quality of the output from each of the groups. Not that I thought they would be bad, but I was really pleasantly surprised by the level of commitment that they had to the charity partners they were working with and the empathy and care for the problems they were trying to solve. They genuinely wanted to create solutions that were valuable for the organization they were helping, and you could see how that dedication impacted the end results. I think the charities and the reps were pleasantly surprised, too, with the output and quality of polish, with the rigour of the outcomes, given the students only had a couple of days to work on their solutions in the two week program. Having not done Fellowship for a few years, it was really refreshing to see the energy of the students and the value of the program for them. It was a good reminder of how impactful this program can be not just for them, but for us as well. The survey we did at the end confirmed that for us — they all felt they got value from it, that they have skills now they’ll be able to make use of going forward, and that’s a very rewarding thing. E: I agree with a lot of what Yashar said, but I was perhaps even more surprised by how quickly they were able to grasp some of the more “intermediate” concepts, like using React for development or getting up to speed with node.js. They only had the first week to learn the concepts and hard skills — the second week was for putting it into action. Given the limited time they had, I think they did a great job of internalizing the concepts and putting them to use. Another thing that surprised me was how quickly they developed that sense of teamwork and came together, first as a large group in week one, and then again in their smaller teams in week two. To be able to collaborate in their groups right away and to create these apps that looked fantastic and answered some really complex challenges is not always easy. Here were these people that didn’t know each other before, and they were able to form these really tight bonds in a short amount of time. It was great. What would you do differently in future? How would you like to see the program grow and change to get the most out of it for all? Y: I was really pleased with the program on the whole, actually — there’s not a lot I would change. But I would definitely start recruiting sooner/earlier in the school year and engaging the charities sooner. The more lead-time, the better, as far as I’m concerned. Other than that, having some more tangible lecture materials, things they could review in advance of and after the lessons (like hand-outs and take-aways) and that could be used as a reference would be helpful, too. E: Yeah, same as Yashar, I was really happy with how well everything ran and the way the program came together kind of the moment the students arrived. Given the time frame, I think having more boilerplate or code starter kits could be a good time-saver in future iterations. I’d love for them to have more time dealing with the learning and the code itself, instead of the technicalities of being able to get there, like configuring environments and that kind of thing. We all know the more time you have to practice using the code, the better you’ll be at it, so I’d love to maximize that time. The other thing I’d love to do next time is incorporate even more of the internal knowledge we have at Myplanet. We had a few of our staff guest-lecture some specific sessions that were super informative and useful (even for me! ), and I’d love to see even more of that expertise get shared to the students, both as lecturers and as hands on mentors to offer ongoing support throughout the course. Interested in participating the next time around? Contact us here for more information on Fellowship or reach out to our team for more information about Myplanet and the work we do.